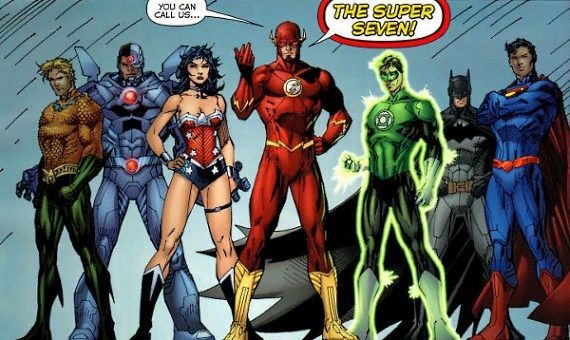 Of course, “Unite the Seven” refers to the seven initial members of the Justice League. At this point, six of the seven members of the Justice League have been cast: Superman (Henry Cavill), Batman (Ben Affleck), Wonder Woman (Gal Gadot), Cyborg (Ray Fisher), Aquaman (Momoa) and The Flash (Ezra Miller). The only individual that has not been cast at this point is Green Lantern. What’s your first impression of the first movie portrayal of Aquaman? Post your thoughts in the comments below. My kids – who are comic book fans – say they are impressed with the costume design.